Craig, some have known your music for many years, but how did you actually end up in electronic music? Well, I’ve been playing guitar since I was five years old, but I have always had a keen interest for strange and unique music. I remember when I was around seven or eight years old, I’d go to the public library and check out electronic music albums (usually on the Nonesuch label) and listen to some strange sounds created by Charles Dodge, Pierre Henry, and many others. I always thought it was interesting that albums of this type of experimental music had existed on record albums. And prior to that, I remember hearing The Beatles “Sgt. Pepper’s Lonely Hearts Club Band”, The Moody Blues’ “Every Good Boy Deserves Favour” and Pink Floyd’s “Dark Side of the Moon” and being totally blown away by the fact that these albums contained experimental sounds combined with actual music. It was a fun treat for my mind and I remember wishing that somebody had recorded a full album of synthesizer music that was exciting and could create a movie in my head. At the time, I never heard of the music by Tangerine Dream, Klaus Schulze, Vangelis, or even Jean Michel Jarre. But one day during a school field trip to the local planetarium, there was music playing in the background of the presentation that completely grabbed my attention when I first heard it! And after the lecture, the teacher had asked “Does anybody have any questions?”, most of the students were asking questions like “What planet is that?” and “What star is that?” and I asked “What music is this? ?” (It was Jean Michel Jarre’s “Oxygene”.) Ever since that visit to the planetarium, I had decided that I was going to make music like what I heard. I eventually picked up my first synthesizer, effects box, and four-track recorder right after high school and I haven’t slowed down ever since! When I got into college I wanted to participate as an actor on the stage. Thankfully, the director of the Theatre Arts Department allowed me to create soundtracks for various plays (and act in them!) which helped me gain some more experience with creating music. The director would allow me to hang out in the theatre sound booth for countless hours creating electronic music on their reel-to-reel tape machines. And being a student in the theatrical department of the college had its benefits: For a final project in one of my theatre arts classes (it was a “Sound Design” class), I decided to put on my first live electronic music concert in the theatre with strange theatrical performances and a light show! (Who gets lucky enough to get the opportunity to do that for their first concert?) I titled it “Journeys through Space” and it was a benefit for the Summer theatre arts program at Shasta College. It was enough of a success that the theater allowed me to do four more shows over the years! By now, you have quite a long list of releases under your belt. Can you give an overview of them? Which of them do you experience as special and personal highlights?? “The Heart of the Galaxy” (1990) was my first release (limited to 100 copies). It’s was recorded during the many nights in the sound booth of Shasta College on two-track reel-to-reel and cassette tape formats, so the overall recording quality was not the best in the world, but it was my first attempt at a self-recorded release and the music was nice. My brother, Paul, had created the pencil drawing for the front cover of this cassette release. “Universe” (1992) was actually my first release with Skip Murphy, which was also released on cassette. But this time we began to record our music live in the studio to HI-FI VHS tape (which is near cd quality in sound). As a side note I’d like to add that these cassette releases were really a labour of love for us, because we did everything we could in those days to create our own products so we’d have something to sell at our live gigs! I remember that we began designing our own computer generated images for the cover art on a (now very out-dated) graphics program, which was then printed on Skip’s computer. We also created the tape labels this way. We had three cassette decks duplicating in real time from the master cassette tape. So it really took many hours to get these finished. Apparently, 1992 was quite a prolific year for us, as “Spirits of Christmas” came out the same year. This was a very limited edition cassette release of Christmas music that I had rearranged. Skip helped me recreate a Christmas song (“O Holy Night”), and we both recorded a unique piece of music for this titled “Evening Snow”. Next came “Impulse – Live from Space” (1993). When guitarist Al Mires and percussionist Dave Barnett were performing with me and Skip, we decided to call ourselves a band name. Skip came up with “Impulse” because it fit the idea of how we were all “impulsively” contributing ideas over the melodic sequences I was creating. This collection of music on cassette is from some of our recordings both live and in the studio. The song “Night Rain” was included on the cd “The Eye of the Storm”. “Beyond (Volume 2)” followed in 1994. This was another collection on cassette of more hypnotic music by me and Skip that featured a side long sequencer improvisation titled “Beyond the Realm of Sleep”. 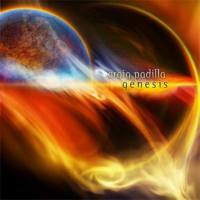 We recreated the ending of this track on our live cd “Planetary Elements”. In 1995 we put out “North of the Moon”. This was our final cassette release as a duo. The title track was taken from a concert we did as “Impulse” and it’s beautiful. I hope to re-release some of this music again someday. “The Eye of the Storm” came out in 1996. Skip and I had saved up all of the money we had earned over the years from performing and selling cassette releases to invest in our first self-released cd on our own “See Peace Music” label. We had so many hours of music that we had recorded together, including my own solo music, that it was very challenging for us to put together a “showcase” of our many styles of electronic music. This cd is like a “best of 1992 to 1995” collection. The title track was actually an improvised recording that Skip and I created as a “throw-away” track for a meditation video never to be heard again by us. When we were listening to our recordings to decide what was going on the cd we listened to this track after not hearing it for a few years and decided that it was a very cool piece of music, and a great way to close the cd! 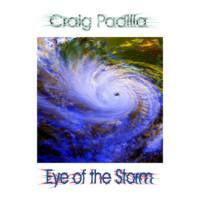 I also like to add a personal note regarding the cd “The Eye of the Storm”. A few years before I finally got on the internet, I had shopped it around to some labels and some distributors, but since I was unknown outside of northern California, nobody would help me sell it! Fortunately, a year earlier I had met Michael Garrison in Mt. Shasta during a “Music Festival of Peace” that showcased a variety of new age artists. He performed there (he was the only artist that performed pure electronic music that day) having just flown back from performing his double live cd overseas. We became friends, and I gave him a few of my cassette releases. Michael told me that he had a mail-order music business called “Windspell Music” and if I ever released a cd then he’d sell it for me! I informed him that I was in the final stages of making one and I’d send him a copy when it was finished. When “The Eye of the Storm” was released, he heard it and immediately ordered 10 to sell! 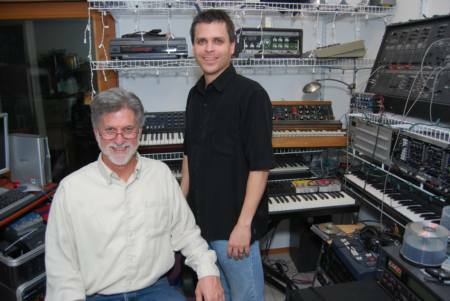 Michael Garrison was the first person to help me get my music heard through his own distribution company, and I will always be thankful for that. And once that happened, the other distributors who had initially turned me down were suddenly interested in selling it for me! “Patterns of Thought”(1998). This was my last cassette release (actually a limited edition double cassette!) containing two hours of melodious and upbeat music! Much of this music ended up being released on two cds in 1999, “Patterns of Thought” and “Crystal Garden” on MP3.com. Another MP3.com cd was “The Soul Within”. It was a collection of previously unreleased solo recordings that I created during the early 90’s. They all had a peaceful theme in common with each other, so I made this release. I released two more cds on MP3.com in 2000 under the artist name Sound Explorer. These albums contained some of my first recordings (some very experimental) that I had created on an ARP 2600 in the sound booth at Shasta College. I released these mostly for a niche market of listeners who like hearing abstract tones. “Exploring the Unknown” was very abstract and not very melodious. “Galactic Storm” had more musical sensibilities, and reminded me a bit of very early Klaus Schulze. Our “feet in the door” in the music industry came in the year 2000 when the French Ultimae-label (originally called Infinium Records) discovered a soothing track titled “Beyond Beta”, created by me and Skip. They had liked it enough to add to their first trance/ambient compilation cd “Fahrenheit Project” (which is an absolutely enjoyable music compilation). The “Beyond Beta” track is actually an excerpt from a 30-minute ambient track recorded in 1992! But we didn’t like the way most of the track was recorded, so we decided to only release the section that we liked the most. Another 2000-release was “Perspectives on the Dream World”. I had wanted to create an album using only my older analogue synthesizers without the use of MIDI and this MP3.com cd release was the result of that experiment. It’s one of my favourite recordings, but it’s currently out of print. I’m hoping to remaster this one so I can release it again. Next in line was “Reflections in Mercury” 2001): This MP3.com cd contains mostly energetic tracks that Skip and I recorded during the previous mentioned 2000 Winter Solstice. This one is also out of print. The year 2002 saw two cds. The first one was the Space for Music cd “Folding Space and Melting Galaxies”, which was voted the “Echoes Listeners’ Top 25”of 2001! It contains two epic length tracks for a run time of over an hour! 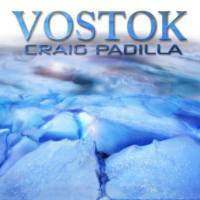 The second one was the long-form ambient release “Vostok”, my first release on the Spotted Peccary Music label, and it’s one that I never thought would help me get involved with a bigger music label because it’s unlike anything I’d ever created prior to this! 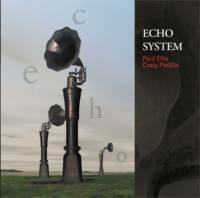 “Echo System” was released in 2003 on Groove unlimited. This is a very enjoyable collaboration with fellow electronic musician Paul Ellis, and it’s another favourite. It was the first time I collaborated with anybody other than Skip. Paul and I shared some similarities in our music and we both enjoyed what each other was doing. I made the drive to the state of Washington with my entire music studio (Paul thought I was joking when I told him I was bringing it all), plugged into his synths and sequencers, and created the foundation for a few tracks on “Echo System”. Our musical ideas were a great match to create this cd. It was fun! The album “Planetary Elements” followed later that year. This music was completely improvised during two concerts. It was an experiment for Skip and I. We’d never done that in front of an audience, but we really felt like we succeeded. The cd is currently out of print. I remember after our improvised performance, we’d take a break backstage and felt really good about what we did. But since we were caught up in the moment of creating that it felt like everything we did was a blur in our minds and we didn’t know what we played! So we really looked forward to hearing the recording after both nights! 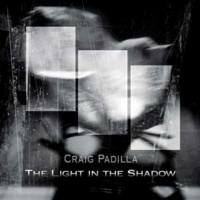 My second long-form ambient album “The Light in the Shadow” saw the light of day in 2006, and it’s a bit more varied than “Vostok”. I like this one a lot. 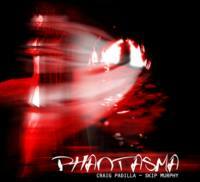 In 2006, Kip and I released our first collaborative album on Groove Unlimited, entitled “Phantasma”. It’s quite hypnotic with dreamy sequences of electronica. 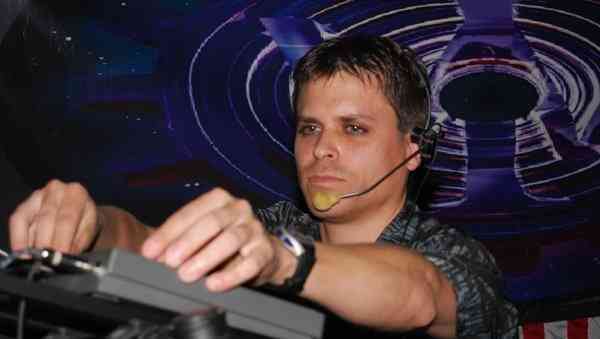 Most of this music was recorded live in Dancing Astronaut Studios. At the time, I remember telling Skip that I wanted to somehow sync up all of our analogue synths together to create a sort of massive modular synth. The studio appeared very chaotic with cables spread across the room from one synth to another, but we had it all under control (theoretically). 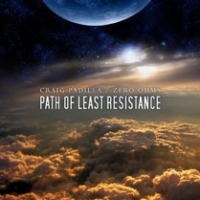 The cd “Path of Least Resistance” came out in 2007 on the LotusPike label. This was recorded with Zero Ohms (aka Richard Roberts), and it’s another personal favourite. The theme is pure science fiction fantasy. I always wanted to create a synth album with wind instruments to create a sound as if an angelic Native American was sitting in a cathedral on a distant planet playing music, and this recording is the result. 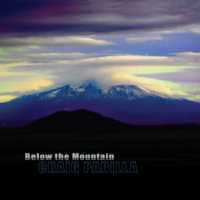 The cd “Below the Mountain”, released on Spotted Peccary, was awarded the “New Age Reporter’s Lifestyle Achievement Award for Best electronic album of 2008”. In addition, it was also nominated for “Best Ambient Album of 2008”. I too like this one a lot,. I’m glad it’s getting the recognition that it’s been getting. This release has a little bit of everything I’d want to hear on an electronic music album. 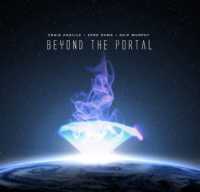 Finally, the Lotus Pike label released “Beyond the Portal” in 2009. This is the follow-up to “Path of Least Resistance”, except this time Skip Murphy also contributes his soulful electronic sounds with me and Zero Ohms. It’s another peaceful release. But, if “Path” was a “yin” release, then this one is the “yang”. Both releases go well to together, and yet they’re both quite different from each other. A couple of years ago, your long form ambient work ended up at the Spotted Peccary label. How did that happen? What are your thoughts of these works, and can you sketch a bit of a background on them? I’d been listening to a lot of nice but rather uninteresting “ambient wallpaper” from other artists. I decided that it would be very cool to create a soundscape environment that you could listen to if you were relaxing on the couch and just wanted to hear something interesting , and at the same time it had to be relaxing so that you could fall asleep to it on repeat at night. So, I walked into my recording studio, lit a few candles, and created “Vostok” in one take! It was incredible because I was so caught up in the moment of creating this and all the musical elements seemed to come together so naturally! I listened to this recording for many days and nights and sent it to a reviewer. He and his wife liked it so much that he suggested that I send it to some recording labels, one of which was the Spotted Peccary Music label. They were very impressed with the recording and wanted to release it. This blew my mind because, at the time, they were releasing more melodious new age music that was not in this style of ambient music at all! It’s an honour to be included within their collective of talented artists. “The Light in the Shadow” was created as a drone piece to be more calming than “Vostok”, but in the end I decided that it needed to be a bit more “interesting” and active. I decided to record some additional bits and pieces with Skip Murphy and cut, spliced, and re-edited many overdubs to be more vibrant (yet still calming and peaceful) than “Vostok”. I am very pleased with the end result! This recording also stayed in my cd player for many nights while I slept. 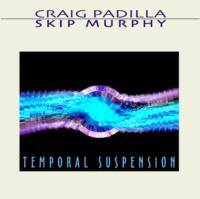 Craig, for several years you also have been frequently collaborating with Skip Murphy. How did you guys meet? What is this sonic chemistry between you two when you both end up making music together, on stage or in the studio? 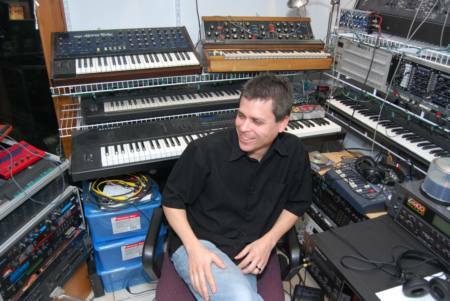 Skip actually attended my “Journeys through Space 2” concert back in 1991 out of curiosity because nobody was performing electronic music in Redding (which is still the case) and wanted to know what I was doing with electronic music. He came up to me after the concert and mentioned that he was somebody I wanted to meet because he had numerous synthesizers and liked to play, too. At the time, I only had two synthesizers, so this was a very cool friendship because I didn’t personally know any people who were synth musicians! The sonic chemistry was immediate. Skip has always been extremely supportive of my music and has done a lot to keep the music momentum going for both of us. We’ve been creating music together for so long that we can almost sense what the other is going to do so we can feed musical ideas to each other! It truly is amazing what we can do when we’re “in the zone”. 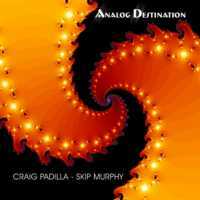 Both the “Planetary Elements” and “Analog Destination” cds are proof of that since most of that music is completely improvised together. Can you tell some more about the Dancing Astronaut studio, and what gear you use? The Dancing Astronaut Studio is Skip’s studio. It could be considered a sort of “synth museum” (especially when you get my synthesizers in there, too! ), because there is such a vast array of old analogue synthesizers and effects, as well as numerous new synth technology. If you’d like to see the gear that we use while it’s being used, check out the previous mentioned clips on my YouTube site. What are your thoughts about nowadays contemporary electronic and ambient music? I’m still buying some electronic music from various artists, so I think some of it is good. I really like Klaus Schulze’s latest live dvd with Lisa Gerard, Kraftwerk’s new “Minimum-Maximum” live dvd set, some of Steve Roach’s releases, and some of the newer artists that are still finding their sound. Do you think the pressed cd will survive in a market where digital downloads seems to become an increasing market? As long as people are willing and prefer to buy their music in a physical form, then there will be pressed cd. Heck, the vinyl lp is still being made and sold in stores which means that people are still buying records. Personally, I love having a booklet with info and artwork to go along with the cd I’ve made or purchased. It’s an entire “package” for the buyer that you don’t get when you just download a song file. So how’s the electronic music scene doing in the U.S.? The electronic music scene seems to be doing fairly well here in the U.S., at least from what I read. The Gatherings concert series in Philadelphia is still going strong, bringing in artists from within the States and from other countries! Steve Roach and Robert Rich occasionally perform across the US. Then there’s a bunch of musicians who travel to Arizona every year for a performance at Arcosanti. I performed my music (sometimes with Skip) almost continuously in northern California from 1990 through 2003. I haven’t been involved in a live performance since 2007. I mostly stopped performing so I could focus on being a full-time father, but since my girls are getting older, I now feel confident enough to focus more spare time on my music. Earlier last year, I joined a talented local rock band called “Innerworkings”, and that was fun to play their prog-rock with them. They let me space out with my keyboards whenever I wanted. It was a blast! However, it also took a lot of time away from numerous things that I wanted (and needed) to do with my own personal and business life, so I decided to quit. However, playing with this band helped me get back into “music mode” again, and actually did well for making me a better player due to the amount of rehearsal time we were contributing. Now, I’m trying to get my “act” together to prepare to get back on stage where I belong as a solo artist. Hopefully, Skip will join me again, too. I also observed you have an ongoing interest in doing video productions of your live and studio activities, which some have made it on You Tube. Is this something you like to expand and/or put out on dvd? I will release more videos on YouTube, and even release these clips on dvd format. YouTube has been a great resource for “free advertising”. I love being able to showcase my recorded work this way. Many people who have never heard of me have stumbled upon these videos and decided they really wanted to hear more! If somebody in Japan or Italy or even here in the USA couldn’t make it to see some of my shows, then this is the next best thing! It’s like performing in front of the biggest audience ever, but without the actual audience in front of you (which is the reason why YouTube videos will never replace the feeling of performing live in front of people in the same room). I actually have a dvd video album released in collaboration with my friend and video producer Bart Hawkins, who shot and edited the entire video. 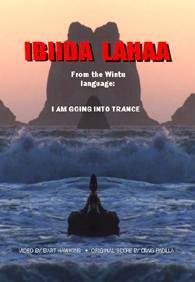 It’s titled “Ibiida Lahaa”, which is Wintu Native American for “I am going into trance”. It’s a full hour of my music combined with some of the most hypnotic and stunning video work I have ever seen! It’s available on my website where you may purchase it straight away. Since the end of 2008 there seems to have been quite a gap of inactivity at your side. What happened? Many things have happened to me since 2008. I went through a divorce which caused me to completely restructure a lot of things in my personal and business life. I am self-employed and had to greatly focus on me and my business, so I could continue to be good to myself, my children, and the friends in my life. I relocated my office space, so I could join forces with a few creative folks to form a creative video and sound production team called “Summit Creative Group”. So, recording music had to be put aside for a bit while I focused on doing whatever I could (and still can do) to be successful with my video and sound work (and keep food on my table). Now that I’m surrounded by like-minded individuals again, I feel very happy with myself; I’m in a fun creative mode again and it’s coming out in my video work, as well as my music. So now that you’re back on track, what’s in the works? I have been working on collaboration with multi-instrumentalist Bruce Turgon., and Skip and I have worked on some new music as well. And I’m in the process of beginning collaboration with Zero Ohms. All of these are slow moving, but these projects will be completed eventually. Mostly, I have been focusing on my creative flow with my own solo works. I currently have four cds completed and I’m working on more! And since I honestly know that I have finally found my true soulmate in 2009, the love and friendship that I’ve been experiencing has been inspiring me on so many new levels of creativity that it’s opened up some new directions of melody and atmosphere in my music, and I see no sign of slowing down! Now I find that I am always working on new music to share with her and, hopefully, eventually, the rest of the world. I think it’s a true blessing to have this newfound creativity in my life!